Old School Country, Gospel, Rockabilly, Punk Rock & Instrumental Bands! Here's a recent shot with a couple of guest artists sitting in !!!! "What's Nokie Doin' On Bass"
She taps me on the shoulder, and says, Hey, when are they gonna sing ??? Ed Roman has these available. The Strawberry Alarm Clock was my psychedelic band from California and reached the top of the charts with "Incense and Peppermints" at the height of the flower power era in 1967. We were originally called Thee Sixpence but decided to change our name to something more...contemporary(?). When I got home from the band meeting resulting in the name change, my mother simply said "You've GOT to be kidding." The band consisted of me on lead guitar (and a lot of bass on the 2nd, 3rd & 4th albums), Lee Freeman (rhythm guitar), George Bunnell (bass), Mark Weitz (organ), and Randy Seol (drums). The story behind the song, "Incense and Peppermints," is a fascinating one...as well as a hard lesson learned! Mark Weitz wrote the bulk of the music and I wrote the bridge. We didn't have lyrics. Our manager took our music track to a producer in Hollywood. In a month we received our lyrics in the form of sheet music and a demo tape. Neither Mark's name or my name appeared on the credits. Our manager's explanation? "This is what you have to do to break into the music business." What? Give away something you wrote?? No one in the band could sing the tune so the vocal was done by a friend of ours, Greg Munford, who also had a local band. Despite the record going to #1 in November, 1967, Munford never joined the band. 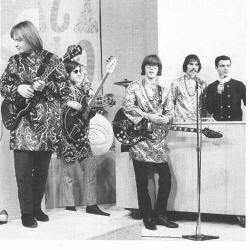 The Strawberry Alarm Clock appeared on some of the top television shows at the time (including The Jonathan Winters Show, Rowan & Martin's Laugh-In) and a couple of movies ("Psych-Out" and, later, "Beyond the Valley of the Dolls"). We recorded a follow-up tune called "Tomorrow" which charted as high as #14. The record company didn't like our next album so they brought in some outside writers for our third album. By this time, internal conflicts caused the departure of Bunnell & Seol. We tried, through various incarnations, to revive the music but just couldn't come up with another "Incense...". Funny how things work out. While the "Clock" was sitting at home and out of work, we received word that our former manager had put together a bogus "Clock" and had booked a 3-month tour of the South. We were able to stop the bogus band in it's tracks and then decided WE should do the tour ourselves. And THAT's how I met Ronnie Van Zant and the rest of Lynyrd Skynyrd. Skynyrd was our opening act for most of the tour. We became good friends and went through some interesting experiences together. (Remind me to tell you about the riot at the Army Base in Albany, Georgia where a lot of our equipment got stolen - we barely got out with our lives!). One day Skynyrd was rehearsing at a club in downtown Jacksonville. Ronnie called me and said "Come on down...we want you to hear a tune we wrote." The tune was called "Need All My Friends" and I was blown away. I wanted to play guitar behind that guy! It took a couple of years but finally, in late '72, Ronnie called me with an invite into the band....on bass. 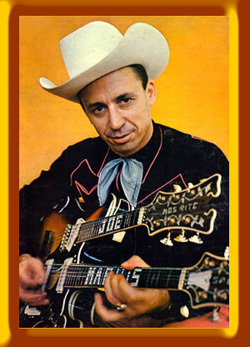 Alvis Edgar Owens Jr. was born in Sherman, Texas, on Aug. 12, 1929, and nicknamed himself “Buck” at a very early age. His family moved to Mesa Arizona in 1937 and by 1946 he was performing on a radio show called Buck & Britt. Buck married Bonnie Campbell in 1948 and moved to Bakersfield, CA in 1951 forming a band called the Schoolhouse Playboys (he played saxophone and trumpet). Bakersfield is of course the city made famous because Mosrite Guitars were made there. By the mid-1950’s, Owens had become a capable guitarist and played lead guitar in sessions for Tommy Collins, Sonny James, Gene Vincent and others. 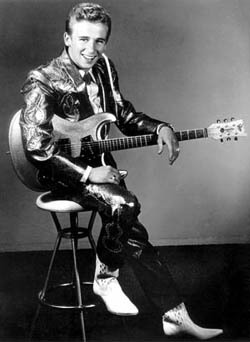 He also recorded a rockabilly single for Pep records under the name Corky Jones. In 1957, Buck signed, as a country artist, with Capitol Records but his initial recordings didn’t attract much attention. In the late 1950’s, he spent time in Washington state where he met a young fiddle and guitar player named Donald “Don Rich” Ulrich. 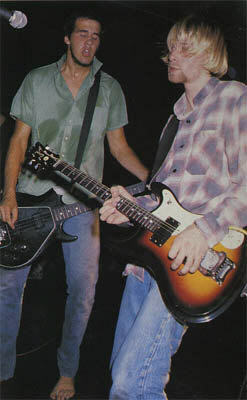 Rich would become Buck’s bandleader, collaborator and best friend. With his band (supposedly named The Buckaroos by Merle Haggard) Buck Owens had his first national hit in 1959 with the self-penned “Under Your Spell Again”. In 1962 Owens’ cover of Johnny Russell’s “Act Naturally” became the first of 20 number one country hits. In the mid sixties, Buck began to invest in publishing and broadcasting and produced The Buck Owens Ranch syndicated TV show starting in 1966. Buck began co-hosting the television series, “Hee-Haw” in 1969 and though he disliked the format, it exposed him to an even wider audience. 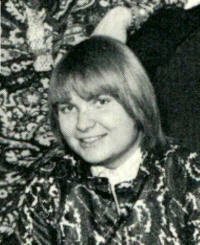 In 1974 Don Rich was killed in a motorcycle accident. Buck was devastated and effectively turned the control of his career over to others. Hee-Haw continued in syndication until 1992 but Buck left the show in 1986, convinced that the corn-pone humor had tarnished his legacy. In 1988 Owens teamed up with Dwight Yoakam on a duet version of Buck’s old hit “Streets of Bakersfield”. It would be Buck’s final number one hit. Buck Owens was inducted into the Nashville Songwriters Hall of Fame and the Country Music Hall of Fame in 1996. Also in that year, he opened The Crystal Palace in Bakersfield which he operated until his death in 2006.
and ground-breaking artists in country music. 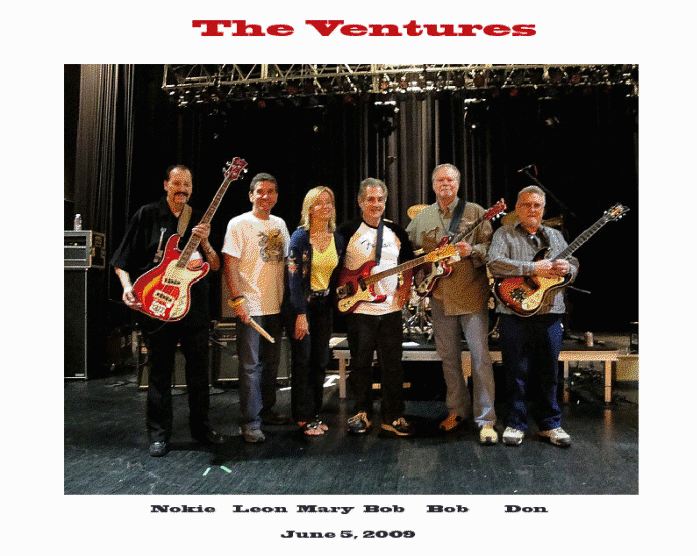 The original Buck Owens guitar which was used on the show was a custom built by Semie Moseley of Mosrite Guitars. Here are quotes from Buck Owens website. In 1966 Buck and The Buckaroos had their instruments painted red, white and blue, an extension of Buck’s innate patriotism. When these instruments were seen on Hee Haw, guitar manufacturers began making offers to him to market a guitar in those colors. Though Buck used a red, white and blue acoustic guitar built for him by Semie Moseley of Mosrite Guitars, his business sense told him an expensive model of that type wouldn’t sell to the public." He finally licensed Chicago Musical Instruments (makers of the Gibson guitars) to market a $99 acoustic model, and received a $2.50 royalty on each sold. He knew that Sears would market them but had no idea they would sell as well as they did --until the first royalty check came. "The very first statement, they sent me $15,000," he laughs. "I said, ‘Oh, you mean THAT Sears!" Harmony Sovereign had made a reissue of this guitar called the American Pride which sold in 2005. It was a limited edition guitar and are starting to become a collectible because of the short production run. The colors of this guitar are a little different from the original Buck Owens. Red is deeper and not as bright and the blue is deeper as well. More like a navy blue than a royal blue.